CarrotCamp Spring 2018 was again unlike most events. It was an opportunity for campers to immerse themselves with the knowledge of some of the nations’ largest home buyers. It wasn’t a workshop or seminar, nor was it a retreat. 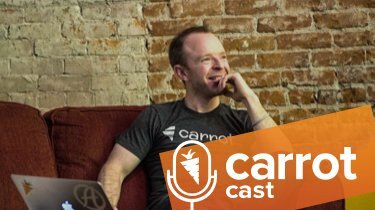 1:45 – Why David Wolf from Florida, chose to attend CarrotCamp and dive into who he is and his biggest takeaways from the week. 3:15 – From Salt Lake City, Dustin Gilbert, discusses what his current scale looks like, his team, and thinking more about building passion into his business. 7:10 – Facebook Marketing Master, Kiley Newbold also talks about passion and finding that business vehicle that feeds that passion. 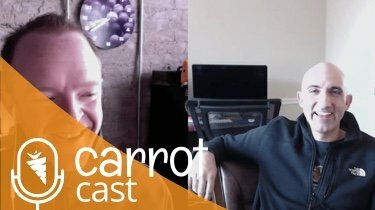 9:35 – From Miami, Brandy Pollack, just closed his first deal via Carrot and he talks about the “ah-ha” moment during camp. 10:55 – Michael Stansbury and Jamison Hendricks from Memphis reveal the value they achieved during this real estate investing mastermind. 13:10 – Tim Ittenbach needed a chance to get away and reenergize to escape some tunnel vision. CarrotCamp provided that release. Tim is now excited to get back to the Indianapolis area and start implementing all of what he learned during camp. 15:50 – Seth Carlsen, Sacramento, came to camp to build relationships and learn more to craft his skills. Listen to what he took away from the time here. 17:00 – Richmond VA, Forrest McGhee, discusses why he came all the way across the county and how he will be challenging himself both personally and professionally when he returns home. 19:00 – Ben Souchek, from Lincoln NB, why he came and what he walked away with. The interaction with other successful investors, the team, and learning to pull himself out of his business more. 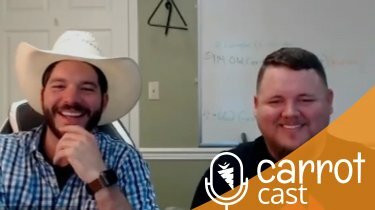 20:15 – One of the largest homebuyers in the nation, Brad Chandler from Express Homebuyers, joined CarrotCamp latest minute. Get his take on how to extract yourself from your business to free up time for passions beyond real estate investing. 21:25 – Ben’s expectations of the caliber of people who would be at camp and if those expectations were met. 22:10 – Why Brad decided to come to camp. 23:00 – Matt Bristow is an up-and-comer from Lodi CA. He talks about his journey into real estate and his invaluable education from camp.